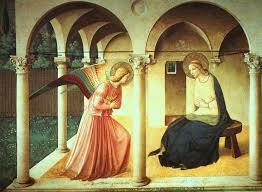 The annunciation, the Archangel Gabriel telling out Holy Mother the good news of her being chosen to be the mother of our Lord, Jesus Christ. This entry was posted in Meditations and tagged Annunciation, Catholic, docility to the will of God, Jesus Christ, John Flader, Mary, Meditation, podcast, Prayer, redemption on March 25, 2017 by frjflader. Pope Francis is now on his fifth year of his papacy. He replaced Benedict XVI four years ago. Pope Francis recently celebrated the fourth anniversary of his election. What are we to make of his pontificate, which has been marked by both notable achievements and considerable controversy? I offer here a few thoughts which can help to focus our thoughts on this “pope of surprises”. It was sent recently to Catholic newspapers in answer to a question. In the four years that Pope Francis been in office, I have heard all sorts of things about him: that he is a great pope, a liberal, a heretic or even that his election was not valid. What should I think about him and how should I react to all this? I too have heard all these remarks and I can understand how many people are confused over this pope, who has been described as a “pope of surprises”. How should we react? First, we cannot question the validity of his election. Everything was handled according to the norms for papal elections, no one questioned the validity of the election at the time and we should not do so now. The Holy Spirit inspired the cardinals to give us the pope God wants for us. 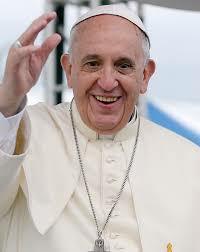 Second, Pope Francis has done the world of good for the Church. From the beginning he endeared himself to the Church and the world by his smile, his outgoing manner, his simple lifestyle, his choosing to live in the Domus Sanctae Marthae in the Vatican rather than in the papal apartments so that he could be closer to the people, his obvious love for the poor and marginalised, his appeal to mercy rather than the strict enforcement of rules, and so much more. He is truly popular, not only with Catholics but also with many non-Catholics. When he became the first pope to open an Instagram account in March 2016 he broke all records, gaining over one million followers in under twelve hours. He was Time magazines man of the year in 2013 and many other publications have featured him on their front cover. Pope Francis has given us some memorable teaching. His first encyclical, Lumen Fidei on the important virtue of faith, came out in June 2013 only a few months after his election. His Apostolic Exhortation Evangelii gaudium came in November 2013 and gave great impetus and practical indications for spreading the Gospel more effectively in today’s world, particularly through the joy of our life. Evangelisation, which is central to the mission of the Church – “the Church exists to evangelise”, wrote Pope Paul VI – is vital for the Church at the present time and Pope Francis has made it a central theme of his pontificate. His second encyclical Laudato si’ on care for the environment, our common home, came in June 2015. It was widely acclaimed and pointed to our need to be responsible stewards of the planet God gave us. This issue too is important at the present time, but many critics seized on certain opinionable statements on which we are free to disagree with the pope in any case, and overlooked the core perennial teaching. One of the biggest targets for the pope’s critics was his Apostolic Exhortation Amoris laetita on the family, which came in April 2016. The critics focussed on one particular footnote and a few other statements in Chapter 8, which seemed to open the door to giving Communion to the divorced and remarried civilly, and which have indeed given rise to great divisions among cardinals and bishops. But leaving those statements aside, Amoris Laetitia is a marvellous document on marriage, full of practical hints on how to help couples and families stay together and grow in love in these challenging times. Everyone should read it. And what to say about the Jubilee Year of Mercy, which helped us experience God’s mercy particularly through the sacrament of Penance and to show more mercy to others? Is the pope a liberal? You cannot apply political terms like this to any pope. They simply don’t apply. If to be a liberal is to be concerned for the poor, the sick, the elderly, the refugees, the marginalised and the environment, then yes the pope is liberal. But what could be more conservative or traditional than Pope Francis’ repeated references to the devil, to the need for confession, to devotion to St Joseph, Our Lady and the Eucharist, to upholding Catholic teaching on birth control, abortion and the impossibility of ordaining women to the priesthood? And Pope Francis is certainly not a heretic. There is nothing to suggest that. He might be unclear at times but he is not a heretic. What we should all do is heed his constant petition: “Pray for me”. If someone is worried about the direction the pope is taking on a particular issue, or is happy with what he is doing, we can all pray for him. That is the best way to help him. This entry was posted in Catholic Weekly and tagged Amoris laetitia, Laudato si. Evangelii gaudium, Lumen fidei, Pope Francis on March 20, 2017 by frjflader. 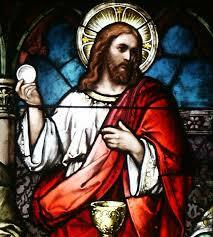 Our Lord, Jesus Christ, depicted with the Holy Eucharist, a sacrament He founded during His Last Supper. This entry was posted in Meditations and tagged Catholic, Meditation, new evangelization, St Josemaria Escriva on March 14, 2017 by frjflader.